Follow me on a journey to answer an age-old question – is the Loch Ness monster real? No visit to Scotland can be considered complete with taking a journey to see Loch Ness, the world-famous body of water in the Scottish Highlands that has captivated tourists with its tales of a mysterious sea-monster that has somehow evaded capture for hundreds of years. Certainly, a visit to Loch Ness is worth making just to see the loch itself, and even without the legend of Nessie, it would most definitely be on the top of many tourists must-see Scottish attractions. The loch is situated close to the Scottish Highlands town of Inverness, where it extends south for an impressive 23 miles. Although it’s only the second largest loch in Scotland by surface area at 22 square miles (Loch Lomond takes first place for that), it’s by far the largest by volume. At its deepest point, the bed of the loch lies under 230 metres of water (beaten only by Loch Morar), which means that Loch Ness actually contains more fresh water than all the lakes of England and Wales combined. Surely then there must be plenty of nooks and crannies at the bottom of the loch for any monster to hide from curious human eyes? Well maybe, but to date, hundreds of Nessie hunters have failed to produce any conclusive proof that such a creature lives there, although there have been many reported sightings over the years. Let’s take a look at the history of Nessie and try to make up our own minds to answer the question – is the Loch Ness monster real? 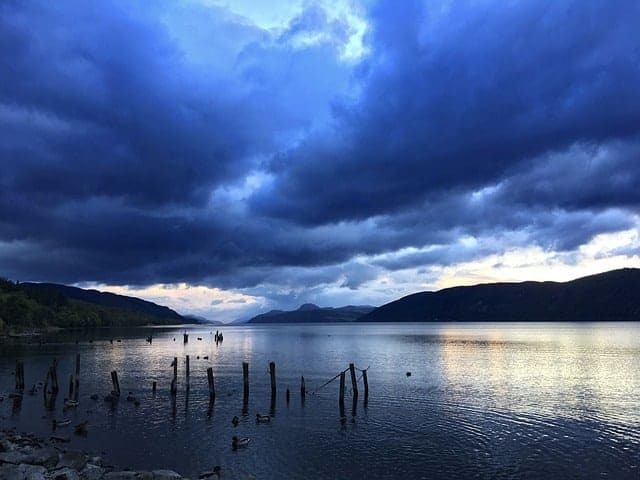 To understand how the legend of Nessie began you really have to visit the loch for yourself. There’s a definite otherworldly atmosphere at the place, especially when the frequent plumes of thick mist roll in from the steep banks that rise on either side of the loch’s shoreline. Coupled with the peat-stained pitch-black water it’s not really surprising that the story of the mysterious, mythical creature has developed. The loch certainly isn’t shy of its fair share of creatures, and fishermen are drawn to the rich bounty of fish species that thrive in the cold and unpolluted water. Along with European Eels, Northern Pike and Atlantic Salmon there are Sea Trout and Brown Trout living alongside some very infrequently seen otters. Some of these animals have been theorised to be the starting point for the Nessie story, especially the otters which could possibly be mistaken for a larger animal when viewed from a distance, but as we’ll see there have been plenty of sightings that are difficult to explain away as simply being a case of mistaken identity. The loch itself has a couple of secrets that most tourists don’t know about, and they all add to its intrigue. Did you know for example that Loch Ness has an ancient artificial island in the middle of it? Cherry Island lies at the southwestern end of the loch and is believed to have been constructed around 3000 years ago during the iron age. It’s impressive that an artificial land mass was created such a long time ago, especially considering it sits 140 metres from the shoreline and is believed to have been over 50 metres across at the peak of its construction. Little is known as to the original purpose of Cherry Island but there are historic records that a small castle once stood on it which was probably used as a hunting lodge and a fortified refuge. Another interesting point to note about Ness is that it lies along the Great Glen Fault, a massive geological fracture that runs through the 62-mile length of the Great Glen of Scotland. This fault line runs northeast to southwest across Scotland and extends deep below sea level to continue as far into the British Isles as northwest Ireland, and it’s believed to have caused several catastrophic land tremors since its formation over 400-million years ago. While it’s mostly dormant today, the Great Glen Fault is still known to cause the occasional tremor, to the extent where some bridges in the area have had to have buffers installed to cushion them from the seismic shocks. While Loch Ness is a popular tourist destination due to the tales of the monster that supposedly swims beneath its surface, even without this legend it would no doubt still be one of Scotland’s top attractions, thanks in no small part to the famous landmark that lies on its western bank, Urquhart Castle. You can find out more about Loch Ness by reading my complete guide to Loch Ness, and my guide to the Loch Ness Centre and Exhibition will tell you everything you need to know about the attraction. But if you want to do some research of your own into the secrets of the Loch Ness monster you won’t go far wrong by starting at the Wikipedia page of Loch Ness and the Wikipedia guide to the Loch Ness monster. Follow the directions with the below map to find this world-famous tourist attraction for yourself. Located 13 miles south-west of Inverness, Urquhart Castle is one of the most important medieval fortresses in Scotland’s history. Although the ruins that we can see today date from the 13th-century, it’s known that it was actually built on top of a much older construction, possibly a defensive position used by the warring clans that had their strongholds in this part of Scotland. An ongoing feud between Clan Grant and Clan MacDonald had existed for many years before Urquhart was built, although it was the Grants who eventually took control of the fortification in the early 16th-century. Even so, it continued to be attacked by the MacDonald’s until the middle of the 17th-century, by which time it had already fallen into ruin. With the threat of the Jacobite uprising in the mid-18th-century, government forces took control of Urquhart and partially destroyed it in 1692 to prevent it falling into enemy hands. Since that time the ruins of this iconic castle have passed into Scottish folklore with countless romantic paintings made by visitors to this beautiful part of the Scottish Highlands. Its popularity with visitors continues today with over 300,00 people exploring the ruins each year, and if you ever visit the loch hoping to see the monster, Urquhart Castle should be at top of your list of places to watch the water from. Discover the story of this amazing attraction with my guide to Urquhart Castle, and find out how to get there with the interactive map below. Although most people credit the start of the fascination with Nessie with the infamous 1933 photograph published in British newspaper The Daily Express, there are records that indicate some form of large animal had been sighted in the area several centuries before. While no-one really knows where the origins of the monster come from, we do know that tales of a creature living in the area were recorded as far back as the 6th-century. At this time the Irish monk Saint Columba wrote that he encountered a group of local residents burying the remains of a man who was seen to be dragged underwater near the shore of Loch Ness before being mauled to death under the surface. While historians have cast doubt on this story as being a myth associated with the infamous Kelpies (mythical Scottish water-horses with manes of serpents and possessing supernatural strength), most monster enthusiasts believe the Saint Columba story is the first proof that a strange animal lives in the loch. But an accurate recollection or not, it was over a thousand years until the next recorded sighting of the monster became public knowledge. The story of Nessie took its first step into modern mythology in 1871 when a local resident reportedly saw an object the size of an upturned boat moving at great speed across the loch, churning up huge waves in the process, and this tale quickly spread across Scotland. Then in the summer of 1933 the first detailed sighting of the monster occurred which cemented the tale of Nessie into modern folklore. On 22nd July 1933, George Spicer and his wife were driving along the road at the side of the loch when they were brought to a shuddering halt by the most incredible sight either of them had ever seen. Loping across the road was the body of an enormous beast, approximately 8 meters long with a thick winding neck, that slowly made its way down to the water before sinking into the depths. News of this sighting spread far and wide which also seemed to coincide with a deluge of reports of a strange animal lurking around the area of Loch Ness, although none of these reports was substantiated until the famous ‘surgeons photograph’ of 1934. The story goes that Robert Wilson, an acclaimed London gynaecologist who was on holiday in the Loch Ness area, had gone walking one day with his camera, hoping to capture one of the loch’s elusive otters on film. 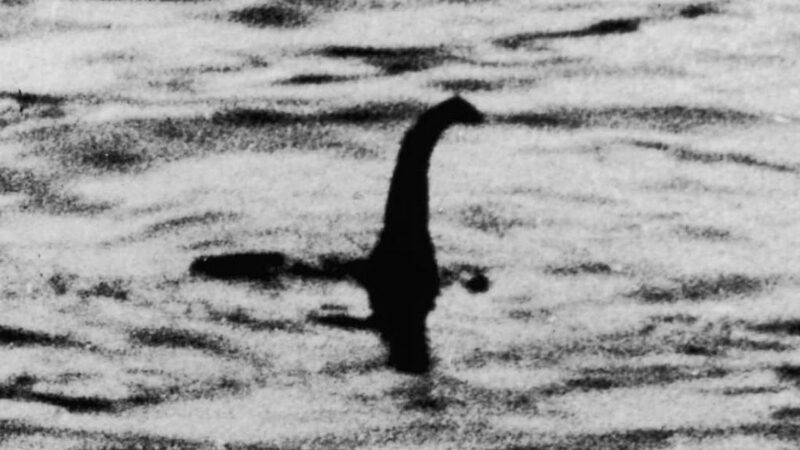 What he ended up photographing was one of the clearest images of the Loch Ness monster taken to date. As he gazed across the water something caught his eye, and as he turned to look closer, to his astonishment, a long, thick neck rose from the depths of the loch, supporting a small head and with a wide, dark body beneath it. Robert managed to quickly grab his camera and he fired off four shots before the creature disappeared back under the water. Unfortunately, two of the images were badly exposed while the third was extremely blurry, but the fourth clearly showed the head and neck of the monster. The images were sent to UK newspaper The Daily Mail who published them in April 1934 to a great deal of public excitement, and from then until modern times eager monster hunters have sought to answer the ultimate question – is the loch ness monster real? With regards to the photos, the facts of where they actually came from were never proven, and it was common knowledge that Robert Wilson denied any involvement with them at all, even refusing to have his name associated with them. 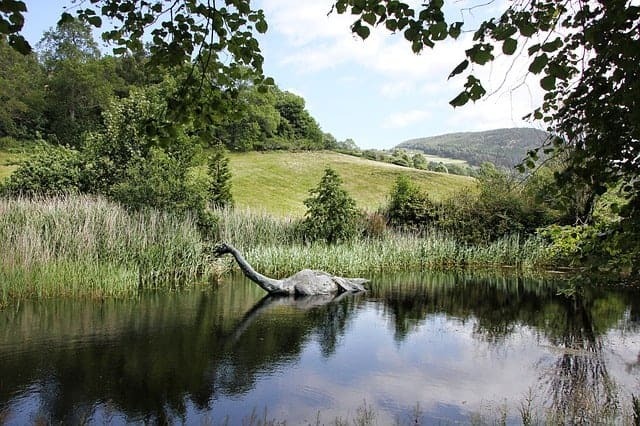 Even so, for many years the surgeon’s photo was believed to be conclusive evidence that some kind of strange prehistoric animal lived in the area of Loch Ness, though the story was no doubt exaggerated by local residents keen to cash in on the loch’s new-found popularity. As photographic technology improved the authenticity of the images was questioned more and more. Firstly, an analysis of the original photo showed that the object in the water was no more than 1m long, certainly too small to be considered a ‘monster’. 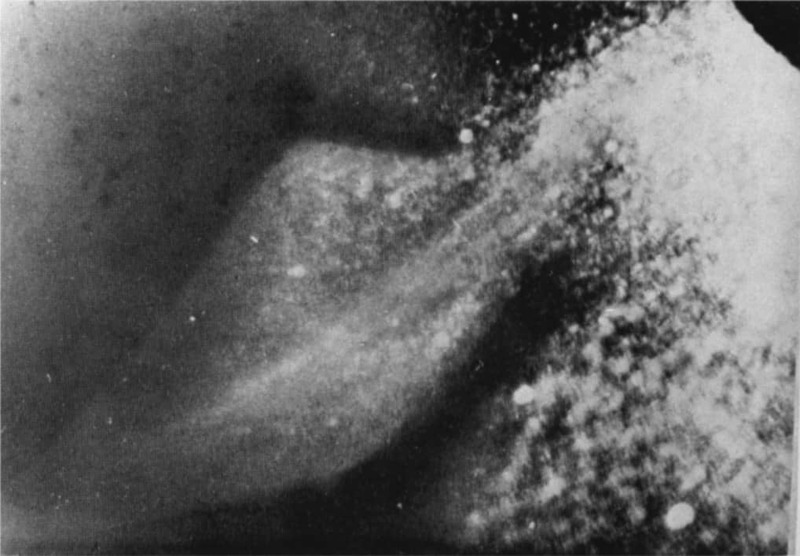 Secondly, a comparison of several versions of the photos showed that a white object could be seen under the water where the body should have been, and thirdly, an account of how the whole episode had been an elaborate hoax was released to the press in 1975. In a letter sent to the Sunday Telegraph, explicit details were given of how a toy submarine had been fashioned into a monster by a disgruntled former employee of the Daily Mail, and further analysis of the photos confirmed that they were likely showing something that was of artificial construction. 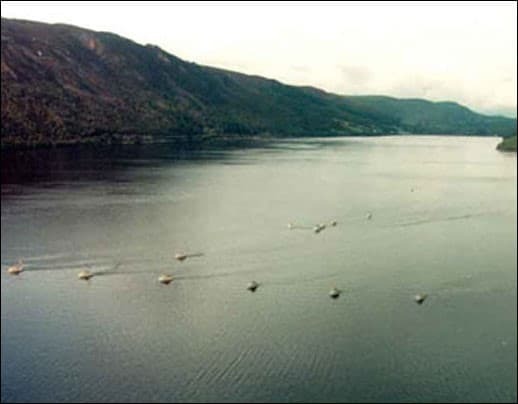 The next piece of evidence that something big was alive in Loch Ness came from a series of sonar reading taken by the fishing boat Rival III in 1954 when the boat’s crew saw that a large object was following them at a depth of 140 metres below the surface. Remarkably, the object was seen to track the fishing boat for more than 800 metres before contact was finally lost. 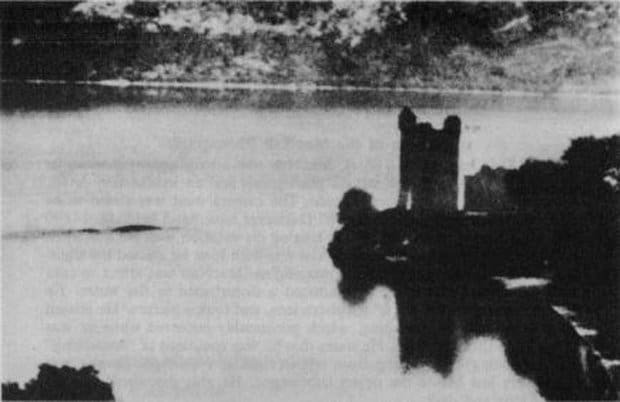 These sonar readings were accompanied by a photograph taken from Urquhart Castle of two long black humps moving through the water, but a later study of the negatives was inconclusive. In the intervening years there were several photos and films taken that proposed to prove the existence of the monster, but all were disproven as fakes until laboratory technician Gordon Holmes videotaped something strange swimming in the loch in 2007. In the video, an object, obviously animate, can be seen moving through the water at great speed. The body appears to be jet black and was estimated by the photographer as being at least 14 metres long. While to date this footage hasn’t been completely disproven it’s suspected by marine biologists that it’s likely a seal or an otter, although no-one has been able to say so with any certainty. One of the biggest scientific studies into the legend of the Loch Ness monster began in 1972, when a group of researchers from the Academy of Applied Science conducted an examination into the animals living in the loch using an advanced sonar system coupled with submersible cameras and floodlights. The idea behind the use of this equipment was that if the sonar detected anything large moving on the bottom of the loch then the floodlights would be automatically turned on and the submersible cameras would take photos of whatever was swimming past at the time. On the 8th August 1972 a team of marine acoustics engineers set up the equipment in the loch and stood back to wait to see what images would be returned by the cameras. It must have been a nerve-wracking time for the team as they waited for the exposures to be developed, as the possibility of faulty equipment meant they’d be faced with an expensive repair bill. However, once the footage was examined some of the most detailed images ever taken from the bottom of the loch could be seen, to the astonishment of all involved. The most exciting photograph, and the one which gained worldwide notoriety, appeared to show a rhomboid flipper splashing through the water, something uncannily like the flippers seen on prehistoric Plesiosaurs. The media frenzy over this photograph even prompted British naturalist Peter Scott to call for the Loch Ness monster to be officially added to the register of protected British wildlife. But what was less widely publicized was the fact that another photo taken by the underwater camera appears to show two large objects surrounded by a flurry of bubbles, and sonar reading taken at the same time indicated that two objects approximately 9 metres long were moving around in the area of the underwater equipment. Was this conclusive proof that there were actually two monsters living in Loch Ness, and was this part of the story purposely kept quiet to prevent a worldwide stampede of tourists hunting for some elusive, timid creature that needed to be protected? It’s unlikely that the general public will ever know. What we do know is that after the 1972 study, sightings of any unusual creatures in Loch Ness dwindled significantly, and another scientific study carried out ten years later seemed to indicate that if there had once been a monster living in Loch Ness, then it had either died or moved elsewhere. In 1987 Operation Deepscan was conducted on the loch, intended to be the final, ultimate study to prove whether or not a large creature did or did not exist. Deepscan involved the use of twenty-four boats all equipped with high-tech echosounder equipment moving simultaneously along the entire length of the loch. With such a wide net of acoustic signals it would be impossible for any animal to evade detection, and so on 11th October the armada of scientific ships began their voyage. Because media excitement had been whipped up into a frenzy the team involved in the hunt were under a fair amount of pressure to report something interesting to the waiting reporters. It didn’t take long before the sonar apparatus detected three large objects moving at the bottom of the loch, the news of which was broadcast worldwide within minutes. However, after the excitement had died down independent researchers concluded that the objects were likely to have been seals that had somehow made their way into the loch from the adjoining Inverness-Caledonian canal. Ultimately we will never know what the sonar from Deepscan managed to detect, and it’s unlikely that we’ll ever see anything like it again. From the 1990’s onwards there have been very few reports of any kind of unusual creature sighted at the loch, except (unsurprisingly) for a few reports by locals just before the annual tourist season begins. So what conclusions can we make? Is the Loch Ness monster real? Does a large prehistoric animal live in Loch Ness, somehow surviving in an area that is now inundated by thousands of visitors each year? Or was there once an unusual animal living beneath the waves that has now either moved away or is lying dead at the bottom? We simply don’t know, but I suspect the hunt for Nessie will resume again at some point using bigger and better technology to tell a whole new chapter of this unusual tale. If you want to explore Loch Ness for yourself to answer the question – is the Loch Ness monster real? – then you can find out more about it with the Loch Ness Wikipedia page which will tell you everything you need to know about this beautiful tourist attraction in the Scottish Highlands. 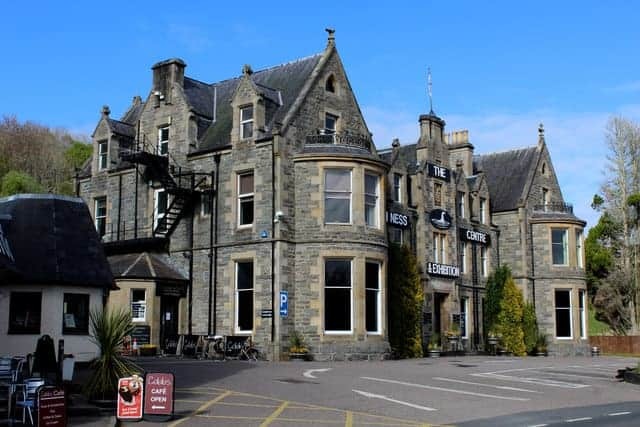 And if you want to visit one of the best exhibitions about the story of the monster then take a journey to the Loch Ness Centre & Exhibition in Drumnadrochit, where you’ll be given all the information you need to make up your own mind. Thanks for reading, and good luck monster hunting!